Straw Clutch Bag by gap. Nice size. Goes with everything! BLACK GAP RUCKSACK / BACKPACK - Great Condition !! BLACK GAP RUCKSACK / BACKPACK - Small Great Condition !!. Used only twice so grab yourself a bargain dad paid £39 Sent with Royal Mail 1st Class.signed for post Comes from a. Smoke and pet free home Any questions please ask please take a look at the other bags I am selling Thanks for looking ! Gap Bag . Condition is Used. Dispatched with Royal Mail 2nd Class. 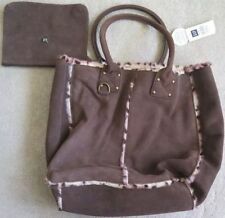 LARGE ELEGANT TAN LEATHER SHOPPER FROM GAP - BRAND NEW! UNUSUAL FROM GAP! VERY STYLISH AND ELEGANT. Gap Leather Envelope Clutch Bag in grey and black. The leather has a slight silver shimmer to it, perfect as an evening back. Zip fastener to the top of the bag and also the to the black front pocket. Excellent condition. Bag size 26 x 16 cm 26 x26 cm when opened. UNLINED WITH NATURAL SUEDE LEATHER BACKING. 10" TALL X 12.75" WIDE X 5.5" DEEP ACROSS BASE X 4.5" DEEP ACROSS SIDE PANELS. LARGE INNER ZIPPED POCKET. MOST PROBLEMS CAN BE RESOLVED AMICABLY. Brown Gap Cross Over - Handbag. Great Condition. Condition is Used but only been used once sonlike brand new ! brown with stripey adjustable strap front picked fully lined with 3 inside pockets Dispatched with Royal Mail 2nd class signed for post / comes from a pet and smoke free home Any questions please ask Please so take a look at the other bags I am Selling ! Condition is Used. Lovely bag. PICS SPEAK 1000 WORDS! NO COLLECTION! Item is as pictured. Gap Bag. Condition is Used. Dispatched with Royal Mail Signed For® 2nd Class. Gap Tote Bag. Condition is Used Twice. Large tote, very spacious. Dispatched with Royal Mail 1st Class. Gap Faux Suede Bag . I think the style is called Gladstone or possibly carpet bag. It is soft sided though. Faux sheepskin trim, side pockets with duffle fasteners, 2 inner compartments separated by a zipped compartment. Strong press stud fastening. Condition is Used. Dispatched with Royal Mail 2nd Class. Browns and beige tweed fabric with flecks of red and blue. Pale green velvet bow. The inner section has a large pouch. Adjustable shoulder strap. With green faux leather trim. Gap Bag yellow Condition is Used has some marks mainly on back of bag but no rips or tears from pet and smoke free home Dispatched with Royal Mail 2nd Class. This bag is from Zara not gap. Tan LEATHER Satchel/shoulder bag by GAP 9ins x 8ins x 2.5ins. Lovely soft leather - GAP Leather Tote Bag with cross body detachable strap - Dark Green with cream piping. Internal pocket with zip and fastener. As good as new! Gap Beige Brown Woven Straw Tote Bag . Good Clean Condition and comes from a smoke and pet free Shell 100% polythetylene Measures approx . length 11" .width 15" Dispatched with Royal Mail 1st Class. Dark Navy Blue GAP Handbag. Fixed Over Shoulder Strap - total lenght 123cms. Small inside pocket. Gap Cherry Patent Leather Bag . Condition is Used. Dispatched with Royal Mail 2nd Class. Ladies bag from Gap. Pink with adjustable strap. Zip top and pockets to front. Gap Boys Travel Shoulder Bag 8 Compartments And Adjustable Strap. Condition is New with tags. Dispatched with Royal Mail 2nd Class. ZARA BAG COLLECTION. Bucket Bag Light Blue Great For Summer - Great Condition ! ZARA BAG COLLECTION BLUE BAG WITH INSIDE CONNECTED PURSE perfect for summer months MEDIUM SIZE Great Condition !!. Used only twice so grab yourself a bargain paid £39 new Sent with Royal Mail 2nd Class.signed for post Comes from a. Smoke and pet free home Any questions please ask please take a look at the other bags I am selling Thanks for looking ! Gap Handbag Cord Cotton Yellow Patterned. Condition is Used. Dispatched with eBay delivery – Shutl 2-3 days. This is a used gold/bronze sequin GAP bag, ideal for shopping, signs of ware and tear on one side please see photos, but useable and still attractive. Buy as seen. 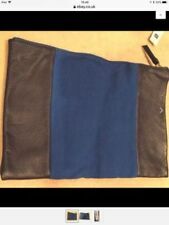 Gap Leather Effect Clutch Purse With Wrist Strap, Brand New with Tags. Condition is New with tags. Dispatched with Royal Mail 1st Class. Warehouse Shoulder / Crossover Bag Ideal For Festivals - Great Condition !! WAREHOUSE CROSSBODY / shoulder bag loveky brown colour 2 zipped internal compartments lots of room for a Small bag great for festivals ! Great Condition !!. Used only twice so grab yourself a bargain dad paid £35 Sent with Royal Mail 2nd Class.signed for post Comes from a. Smoke and pet free home Any questions please ask - please have a look at the other bags I’m selling Thanks for looking ! 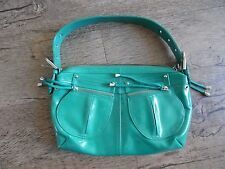 Gap all leather 3colours shoulder/across body bag One large zipped bag 10" x 1 0" Please look at photos for more details Thank you for looking. Lovely slouchy style brown suede jacket from GAP. Bought a few years ago and was professionally dry cleaned about two years ago and not used since. Lined with an internal pocket. Gap Bag. Condition is Used. Dispatched with Royal Mail 2nd Class. GAP Real Leather Yellow/Mustard Casual Shoulder Bag. Soft cow leather shoulder bag in mustard yellow. Magnetic closure. Metal buckle detail. One internal nylon zipped side compartment In excellent used condition. As new condition. 23 cm wide 19cm high 7cm deep Matches very well with the Per Una summer dress I have listed. GAP + PENDLETON Red Pink Grey Plaid Check Tote Bag Shopper Wool 17.5" x 11" x 6"